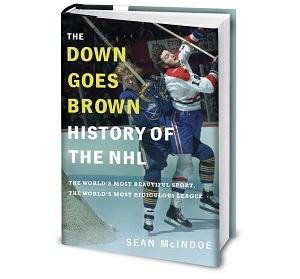 Down Goes Brown: Grantland: Who'll be the next eight NHL captains? As the offseason stretches into the summer, news from the transaction wire has gradually slowed to a trickle. That’s in stark contrast to the flood of moves we saw over the first few weeks. Some of those moves made headlines, like the Lightning’s buyout of Vincent Lecavalier and Daniel Alfredsson’s decision to sign with Detroit. Some smaller deals received less attention, like the trades that sent Mark Streit to the Flyers or Shawn Horcoff to Dallas. If you’re thinking to yourself Um, that was kind of an odd group of moves to bunch together into a lede; I bet there’s some sort of connection he’s about to reveal, then you’re right, because each of those four transactions involved a team parting ways with its captain. And in what’s become an odd subplot to the 2013 offseason, that seems to be a trend around the league. There are now eight NHL teams that find themselves without a captain, an all-time NHL record according to the Department of Facts I Didn’t Bother to Research But Sound Plausible Enough. That means we’ll see as many as eight new captains named before the start of the season. But who? Here’s a look at the eight current captainless teams, and our best guess as to which player in each city will end up being handed the "C."